The bulls bounced back this past week as futures speculators bid up the price of oil, which closed on Friday at over $52.00 per barrel. The broad US indices rode the coattails of oil, producing their best weekly performance in awhile. Last week the S&P 500 Index gained over 3%, the Dow rose nearly at 4%, the NASDAQ Composite Index posted a +2.36% gain, and the Russell 2000 Index gained +3.44%. Oil prices peaked midday Tuesday, then declined again Wednesday, but recovered largely on Thursday and Friday. We saw this pattern mirrored in the broad US indices. The oil rally was sufficient to bring the broad US indices to flat performance for 2015 thus far; essentially no real gain, no real loss. But according to Citigroup’s Edward Morse, the recent surge in oil prices is just a “head-fake,” and oil as cheap as $20 a barrel may soon be on the way. As reported by Bloomberg, Citigroup stated yesterday that despite global declines in spending which have driven up oil prices in recent weeks, oil production in the U.S. is still rising. Brazil and Russia are pumping oil at record levels, and Saudi Arabia, Iraq and Iran have been fighting to maintain their market share by cutting prices to Asia. The market is oversupplied, and storage tanks are topping out. A pullback in production isn’t likely until the third quarter, Morse said. 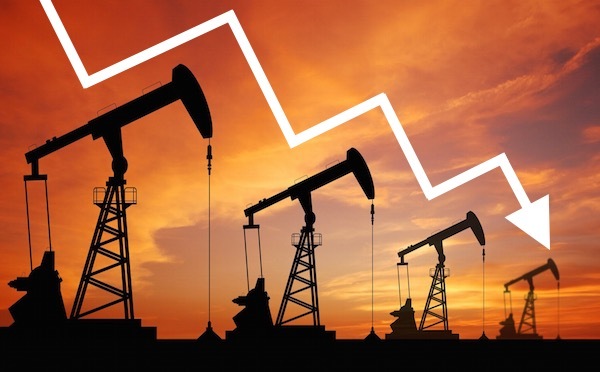 In the meantime, West Texas Intermediate Crude, which currently trades at around $52 a barrel, could fall to the $20 range “for a while,” according to the report. The U.S. shale-oil revolution has broken OPEC’s ability to manipulate prices and maximize profits for oil-producing countries. “It looks exceedingly unlikely for OPEC to return to its old way of doing business,” Morse wrote. “While many analysts have seen in past market crises ‘the end of OPEC,’ this time around might well be different,” Morse said. Citigroup reduced its annual forecast for Brent crude for the second time in 2015. Prices in the $45-$55 range are unsustainable and will trigger “disinvestment from oil” and a fourth-quarter rebound to $75 a barrel, according to the report. It speculates that Prices this year will likely average $54 a barrel.